Gavin ran the Ironman to raise money for Cancer Research UK, a charity that is very close to his heart, as it will be to a great many of you reading this as well. 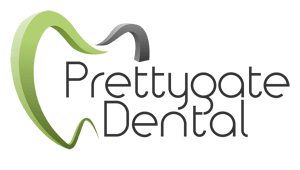 All of us here at Prettygate Dental are very proud of Gavin and we expect to see him swim, run and cycle many an Ironman in the future, though we do all hope that he picks somewhere a little nicer for next time, apparently, there’s an Ironman in Lanzarote this September! For those of you not familiar with the gruelling nature of the Bolton Ironman challenge, it consists of a 2.4-mile swim; in a lake consisting of ice cubes and fish. A 112-mile cycle; through the rather delightful towns and hamlets that encircle Bolton and then a run of 26 miles and 235 yards through the humdrum streets of the town itself. Gavin managed the lake swim in an hour and 29 minutes, the scenic cycle in 7 hours and the gruelling marathon in a little over 5 hours – the marathon section itself took place in 25-degree heat! Out of around 2200 athletes, Gavin finished in the first 1200, which, given that he was competing against grizzled Ironman veterans and actual iron men, is quite the phenomenal achievement. 300 individuals, unfortunately, did not manage to finish the race in the 17 hours allotted time frame which is yet another testament to the demanding nature of this race! To prepare himself for this admirably NUTS feat of pure human endurance, Gavin would train 6 days a week by either running, swimming or cycling. He would also follow a strict diet, which consisted of carbohydrates in the 5 months leading up to the big day, and then protein in the 3 months before the race! Not only did Gavin push the physical limits of the human body, but he also pushed the limits of how much pasta the human body can consume! Not satisfied with travelling nearly 150 miles using only his arms, legs and sheer force of will, Gavin is planning to run a marathon in Cork, in June 2018, in aid of Cancer Research UK. We cannot commend Gavin enough for his dedication and his conviction in helping Cancer Research UK with their unbelievably important work. If you are able, please support Gavin and Cancer Research UK in their mission to eradicate cancer from the globe by donating to this worthy cause, every contribution helps and anyone wanting to donate can do so here.